As speculated, iOS 12 has been made with performance in mind and there are not many changes to the UI. The ARkit 2 has more to offer with multiple new features and additions. Apple has kicked off its World Wide Developers Conference 2018 (WWDC) event. The keynote commenced with Tim Cook taking the stage. He shared some interesting insights like how there are more than 20 million Apple developers, who will have earned $100 billion dollars this week since the App Store's inception. Next came the most awaited announcement of the event, iOS 12. Apple’s senior VP of Software Engineering, Carl Federighi took the stage to enunciate on the features of the new operating system, but not before revealing some numbers like how half of their customers updated to iOS 11 in mere seven weeks. 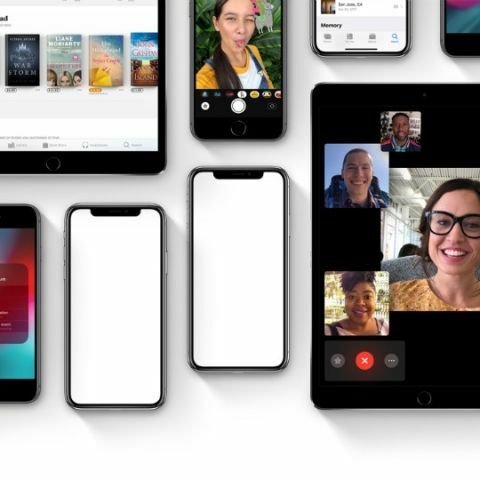 Apple says that they are “doubling down” on performance with iOS 12 and the good news is that all devices on iOS 11 will support iOS 12 as well. Apple says that the new OS will enable 40 percent faster app launches, 50 percent quicker Keyboard pop-up and 70 percent faster camera boot-up on older devices. Another addition for boosting performance is instantaneous ‘ramp-up and ramp-down’ of the device’s performance, which will be enabled on all devices that get updated to the new iOS. Moving on to ARKit 2, it now comes with a slew of new features like shared experiences, persistent AR and more that allow users to interact with each other within the AR space, tie VR experiences to a specific location, object detection and image tracking. Apple has also partnered with Pixar to come up with a new open file format called USDZ. The company says that it allows for experiencing AR nearly anywhere in iOS, including apps like Messages, Safari, Mail, Files and News. Companies like Adobe, Autodesk, Sketchfab and more will support the new AR file format and Abhay Parasnis, EVP and CTO of Adobe says that native support for native USDZ is coming to Adobe Creative Cloud. There’s also the Measure app for iOS devices, which makes use of AR for taking measurements of real-life objects. It is said to detect objects with different shapes, for example, rectangles, and also 2D images for displaying their size. The USDZ format will also work while surfing the internet and users will be able to tap on a file and use the image for viewing objects in 3D space. Apple has also made announcements for Siri, Photos app, which you can check out here. For more news on new watchOS, tvOS 12, and more, click here.